Up to 200 ghost estates face being bulldozed under new plans being drawn up by Minister for Housing and Planning, Jan O’Sullivan. The country has been left with 1,100 unfinished developments since the property bubble burst in 2008 – many of which are in a dangerous state. 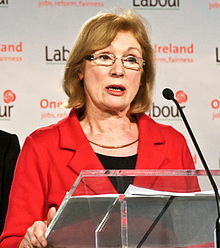 Junior Minister O’Sullivan has admitted that up to 200 may be bulldozed as part of the plans to deal with ghost estates. In an interview with the Herald, the Labour politician said that the vast majority of the country’s ghost estates “can be finished and have to be finished”. At the height of the building boom in 2006, a total of 93,000 new houses and apartments were built, over four times the number completed in 1993. This year, for the month of January alone, some 342 new houses were completed. “What I’m trying to achieve in chairing the committee on unfinished estates, is that we get a resolution to get them finished,” she said. According to the Minister, the bulldozing of estates would be done “in conjunction with the owners and with the local authority”. “But ultimately I can’t force [their demolition], because they are private properties so I can’t force anybody to do anything,” she said. Is enough being done to help Generation Rent?